proud of my clowny hair, folks! fiera dei miei capelli da clown, gente! Who on earth could ask this type of question to a natural girl wearing the afro hairstyle without being rude or offensive?? A KID, of course! You have to know that I`m childminding an English little black girl really smart and funny and it was time to pick her up from school. I usually take 15-20 minutes to do my hair before going out and I usually wear always the same hairstyle (braid the sides and a twist out in the upper part of the head), but this time I wanted to do something different so I secured the right side with a bobby pin and wore the rest of my hair out (picture above). When I went to pick up the little girl with my afro hair, she smiled at me and she said "why you look like a clown without the red colour?". At first I smiled for the innocence in that question and I thought that she`s just a kid, starting to discover the world and full of questions so I simply answered "this is my hair, my natural hair. I really like it like this, so I`m wearing it in this hairstyle". In that exact moment I realize that my struggle to be accepted from anybody NO-MATTER-WHAT was finally over. If my hair`s not loved by everybody it`s fine, but is not one of my problem anymore. When you realize that you completely accepted your hair? Let me know, girls! Chi mai potrebbe porre una domanda del genere ad una ragazza di colore che porta i propri capelli naturali nella pettinatura afro senza essere vista come una persona rude o sgarbata? Solo i bambini, ovviamente! Dovete sapere che sono una ragazza alla pari di una ragazzina inglese di colore molto intelligente e simpatica ed era ora di andarla a prendere dall` uscita da scuola. 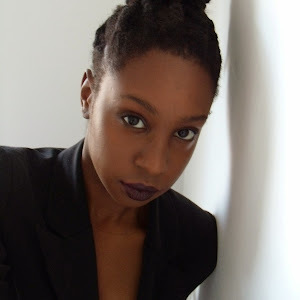 Di solito ci impiego 15-20 minuti per farmi i capelli prima di uscire e solitamente utilizzo la stessa pettinatura (trecce di lato ed un twist out nella parte superiore della testa), ma questa volta ho voluto fare qualcosa di diverso quindi ho assicurato la parte destra dei capelli con delle forcine e lasciato il resto dei capelli liberi (come nella foto sopra). Quando sono andata a prendere la bambina con la mia acconciatura afro, lei mi ha sorriso e mi ha chiesto "perche` i tuoi capelli somigliano a quelli di un clown, ma senza il colore rosso?". All` inizio ho riso per l`innocenza della domanda e ho pensato che e` solamente una ragazzina, che sta iniziando a scoprire il mondo e piena di domande quindi ho semplicemente risposto "questi sono i miei capelli, i miei capelli naturali. Mi piacciono tanto in quest` acconciatura quindi li indosso cosi". In quell` esatto momento ho realizzato che la mia continua lotta per essere accettata PER FORZA da tutti era finalmente terminata. Se qualcuno ha un problema con i miei capelli lo accetto, ma rimane il fatto che il problema non e` piu` mio. Quando avete accettato completamente i vostri capelli? Fatemi sapere, ragazze! This is the starting point. II want to spoil a little bit my hair, so I`m gonna apply a mask before washing normally my hair. It`s called pre poo (abbreviation of pre-shampoo) and really helps to moisturise, soften and detangle my natural hair. The quantity of the ingredients are specific for my hair type. The procedure is simple: I just mixed and slightly warmed up all the ingredients in the microwave, covered all my hair with a layer of the mixture, wore a shower cup and waited for about one hour. While you wait to wash your hair, you can do pretty much anything: this time I even did some exercise and had no problem. After washed with shampoo and conditioner, I decided to wear just side braids and nothing else. What do you think about it? Do you already tried this pre poo recipe before? Try it and tell me all about it! Questo e` il punto di partenza. Oggi voglio viziare un po` i miei capelli, quindi applichero` una maschera prima di lavare i miei capelli. E` chiamato pre poo (l`abbreviazione di pre-shampoo) e aiuta a nutrire, rendere morbidi e piu` districabili i miei capelli naturali. Il procedimento e` semplice: ho mischiato e leggermente riscaldato nel microonde tutti gli ingredienti, ricoperto con uno strato di questa maschera casalinga i capelli, indossato una cuffia di plastica per la doccia e aspettato per circa un`ora. Mentre aspettate il momento di lavare i vostri capelli, potete fare di tutto: questa volta io ho persino fatto dell`esercizio fisico, senza avere alcun problema. Dopo aver lavato i miei capelli con shampoo e balsamo come al solito, ho deciso di portare delle trecce laterali e nient`altro. Che cosa ne pensate? Avete gia` provato una maschera pre poo? Provatela e ditemi tutto! I had a really busy week, but finally today I had some time for myself and I knew what I had to do: trim my hair. 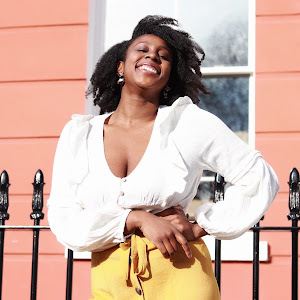 I`m still in that phase in my natural curly hair journey where I want to do ANYTHING by myself, even trim the split ends so I decided to share with you my method. If you do some researches there`re tons and tons of methods to trim natural hair and you just have to find the one that suits you perfectly. Today I`ll tell you mine, but very soon I`ll post all methods that you can use to trim you hair. I start with creating 4 big sections of hair; then I take some loose hair from one section, I saturate them with water, I gently comb my them with a medium tooth comb and then I run my fingers through my hair to feel any damage, dry ends or knot. If I feel something, I trim it off with my hair scissors. I keep going like this until I did all my 4 sections. A tip to have a great final result? Use hair scissors (called hair shears) and use it just to trim your hair. If you use scissors that are not sharp as the hair shears, you can actually create damages to your hair. What is your method to trim hair? Do you have any question? Have a beautiful weekend, girls! Hello girls! How did you start this week? I quickly want to show you how to use the Arabic (or Sugar) Wax that I did yesterday and that you can see here. Ciao ragazze! Come avete iniziato questa settimana? Vi voglio mostrare velocemente come poter utilizzare la ceretta araba (o di zucchero) che ho fatto ieri e che potete vedere qui. First thing to do is to warm the wax. You can use the microwave for 10-15 seconds or the double boiler method. Then wash with warm water and soap (or use gently a scrub glove) the part of your body that you`re going to wax. La prima cosa da fare e` riscaldare la ceretta. Potete utilizzare il microonde per 10-15 secondi oppure scaldare la cera a bagno maria sui fornelli. In seguito lavare con acqua tiepida e sapone (oppure usare i guanti esfolianti) sulla parte del corpo dove andrete ad utilizzare la ceretta. Apply some talcum powder on it. The talcum powder helps the wax to grab just the hair, not the skin. Applicate un velo di borotalco sulla parte del corpo. Il borotalco aiuta la ceretta ad attaccarsi solamente ai peli e non alla pelle. Take a small amount of wax with a palette knife or a butter knife. You can apply it directly on the body part in the direction of hair growth, put a fabric wax strip on and remove the strip really quick in the OPPOSITE direction of the hair growth. So if you applied the wax upward direction, remove the strip downward. Prendere una piccola porzione di ceretta con un meschino o con un coltello da burro. Puoi applicarlo direttamente sulla parte del corpo nella direzione di crescita, appoggiare una striscia di tessuto sopra e rimuovere la striscia molto velocemente nella direzione OPPOSTA della crescita del pelo. Quindi se avete applicato la ceretta verso l`alto, rimuovete la striscia verso il basso. Instead, if you want to use the ball method as I normally do, take a small amount of the product, start to stretch and play the wax with wet hands until is ductile enough. Then apply the wax in the OPPOSITE direction of the hair growth and remove really quick the strip in the same direction of the hair growth. Se invece volete usare il metodo della pallina come faccio io di solito, prendete una piccola quantita` di prodotto, inizia ad allungare e giocare con la ceretta con le mani bagnate finche` non diventa abbastanza duttile. Ora applicate la ceretta nella direzione OPPOSTA della crescita del pelo e rimuovete la striscia molto velocemente nella stessa direzione della crescita del pelo. And this is the final result! As you can see, in the right side there`s no hair anymore. Did you try it? If you have any problem, comment below and I will answer you as soon as possible. Good luck! E questo e` il risultato finale! Come potete vedere, nella parte destra non ci sono piu` peli. L`avete provata? Se avete qualsiasi problema, commentate e vi rispondero` il piu` presto possibile. Buona fortuna! Hey folks! How`s your week? Day 6 was the last day in Venice. To come back in UK I took my first night fly and I have to admit: the view was breathtaking! I`ll never forget this experience and I`m gonna take it with me forever. Come va ragazze? Come ve la passate? Il sesto giorno e` stata la mia ultima giornata a Venezia. Per tornare in UK ho preso un volo notturno e lo devo ammettere: la vista era mozzafiato! Non mi dimentichero` mai di questa esperienza e la portero` con me per sempre. Natural curly hair is a new and unknown world that has to be discovered for a permed girl so don`t be afraid to ask questions and do some researches about it. You`re gonna discover tons and tons of informations and tips that you can try on your hair and see if they help you. I can`t even count how many hours I spent in front of the computer and, honestly, I don`t regret nothing, not even a second. All permed girls know the moment when the new hair growth start coming out and the first thing that you say is "oh,snap! "; well, you`re gonna have the exact opposite reaction when you start transitioning, trust me! You`ll start reconsider how your hair works so don`t be afraid to experience and try new products, new hairstyles and new treatments. It`s a hole different chapter of the life of your hair: try whatever you think is best for you. In my personal experience, I discovered that I love doing braids, try a new hairstyle as soon as I can, start a Sunday morning with a deep conditioning, use a satin scarf at night and leave my hair out. TO BC OR NOT TO BC? THAT IS THE QUESTION! 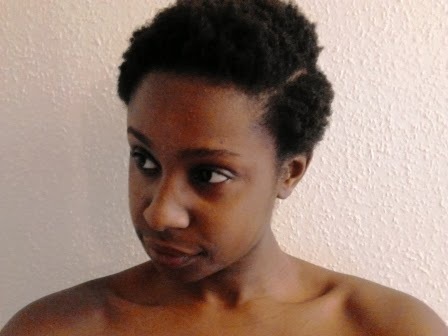 For me the BC (Big Chop) happened the 12th of July, six months after my decision to wear afro hair. For my personal experience, transitioning and then do a Big Chop was the wisest decision that I could possibly take because I had time to get used to my new hair. The only tip that I can give you here is to think about what you really want and THEN decide. Remember that you`re the only one to go around with your hair, so take your time if you need it. On the other hand, if the only thing that you really want is to shave it all off, DO IT! When I used to perm, I wanted so much to have a long hair length that even my split ends counted! Luckily now I understand that dead ends are not healthy or useful, so I quickly cut them off if I see them. Don`t be afraid to trim your hair or to loose your length: the important thing is to have healthy hair, girls. Don`t look too much to the natural curly hair girls who have really long or thick hair. The hair`s growth is really subjective so don`t worry about it too much. Just use a little TLC and your hair is gonna be just fine. Time will do the rest. What do you think about it? Don`t be afraid to leave comments below! For my natural curly hair, England is the paradise on Earth. I`m serious! Every time that I`m walking under a drizzle I know that when I go back home, my hair will be soft and hydrated. Today happened again and I thought that cornrows are a beautiful hairstyle to do. Quick, easy to wear when you have to sleep and you`re gonna have wavy hair when you release them: what more do you want, girl? Per i miei capelli afro, l` Inghilterra e` il paradiso in Terra. Sono seria! Ogni volta che cammino sotto una pioggia fine so che quando tornero` a casa, i miei capelli saranno soffici ed idratati. Oggi e` successo di nuovo e ho pensato che le treccine aderenti (cornrows) sono una bellissima acconciatura da fare. Veloce, adatta per quando dovete andare a dormire e quando scioglierete i capelli, avrete delle onde naturali: che cosa volete di piu`? On Wednesday on the "Steve Harvey Morning Show" Sheryl Underwood, comedian and co-host of "The Talk", apologised for her comment about natural black hair. All started when they were talking about Heidi Klum, who keeps the afro hair of her sons` after shaving them. The next thing that Underwood said was "Why would you save afro hair? You can`t weave afro hair. You never see us at the hair place going "Look, here, what I need is this curly, nappy beads." That just seems nasty." When the other co-host Sarah Gilbert shared that she keeps her son`s hair too, Underwood replayed saying "[because that`s] probably long, silky, stuff". 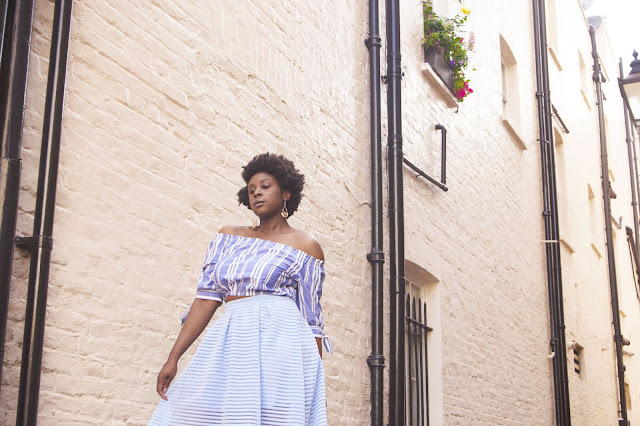 After these comments, the web was full of critics towards Sheryl so she apologised saying "I want to apologize for my recent attempt at humor that missed the target and hit my people squarely in the heart. To all of you I say, I`m very sorry for my failed attempt at humor surrounding something that`s very sensitive for us: our hair. I could use this time to train to explain the attempt of what I said, but misunderstanding aside, the way the joke came out offended my people and my community, which was not my attempt". I perfectly understand why many of us feels mad after the comment of Sheryl Underwood, but I also have to admit that I`m not completely surprised. She should watch what she says because is a public figure but we all know that sadly that comment is the opinion of many people out there. The main problem here is the IGNORANCE. Ignorance is the driving force of all people who keep saying that natural black hair is nappy and nasty. Do these people know how to take care of natural hair? Probably not at all and that` s my point! I respect every opinion, but if you are not aware of the entire situation you shouldn`t be talking. And now that she apologised, the problem isn`t gone. After listened Underwood`s comments I wasn`t mad because I know that my hair are beautiful to me, but I was a little bit sad because many young permed girls who want to became natural are constantly criticized about having natural hair and I don`t think that it`s fair. We should have the right to CHOOSE and to choose what is best for us, not what is best for the society for us to be. I know that at the end of this post someone could say "It`s just hair! No need to make a fuss about it! ", but we all know that is not the true. 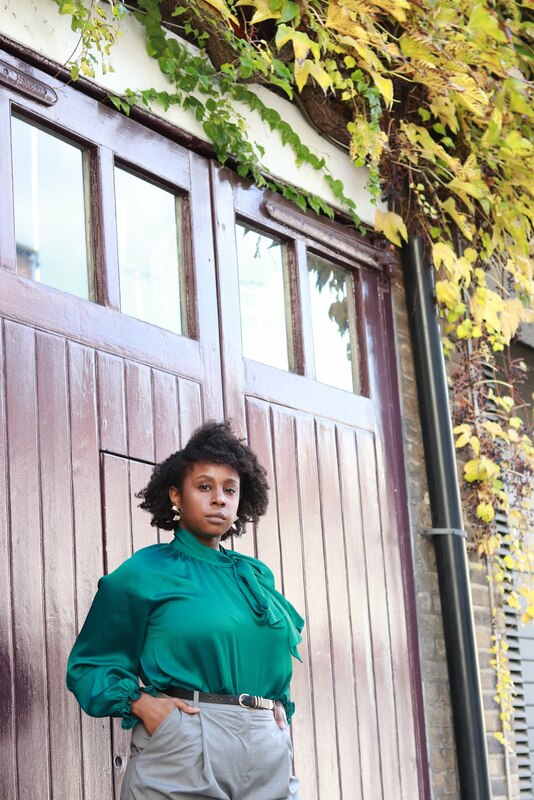 If this wasn`t a big of a deal, the choice of going natural, a girl who decides not to wear long hair or hire a person who wears locks or dreadlocks shouldn`t be a problem. But apparently IT`S a big of a deal. What do you think about it? Leave a comment below. Mercoledi nel programma mattutino di Steve Harvey Sheryl Underwood, comica e co-conduttrice di "The Talk", si e`scusata per il suo commento riguardo ai capelli afro. Il tutto e` iniziato quando si stava parlando di Heidy Klum, a cui piace conservare i capelli afro dei suoi figli dopo averli tagliati. Le parole della Underwood sono state "Perche` dovresti conservare capelli afro? Non puoi farci delle parrucche con i capelli afro. Non ci [noi persone di colore] vedi mai andare dalla parrucchiera e dire "guardi, quello che voglio e` utilizzare questi capelli ricci e i capelli attaccati alle perline." Sembrerebbe una cosa disgustosa" . Quando l`altra co-conduttrice Sarah Gilbert ha dichiarato che anche lei conserva i capelli del figlio, Underwood ha risposto dicendo "[perche` sono] probabilmente lunghi e setosi". Dopo questi commenti, il web era pieno di critiche nei riguardi di Sheryl. La comica si e` scusata dicendo " Voglio scusarmi con il mio recente tentativo di umorismo che ha mancato il bersaglio e ha colpito le persone direttamente nel cuore. A tutti vuoi dico, sono veramente dispiaciuta che il mio tentativo di umorismo riguardi un argomento veramente delicato per noi: i nostri capelli. Potrei utilizzare questo tempo per cercare di spiegare l`intenzione di quello che ho detto ma, equivoco a parte, il modo in cui la battuta e` venuta fuori ha offeso la mia gente e la mia comunita`, e questo non era il mio scopo". Capisco perfettamente come mai molti di noi si siano sentiti indignati dopo il commento di Sheryl Underwood, ma devo anche ammettere che non sono del tutto sorpresa. Dovrebbe controllare quello che afferma e dice perche` e` un personaggio pubblico, ma tutti noi sappiamo che purtroppo quel commento e` l`opinione di molte persone la` fuori. Il problema principale qui e` l`IGNORANZA. L`ignoranza e` il motore di tutte le persone che affermano che i capelli afro siano impossibili da pettinare o sporchi. Queste persone sanno come prendersi cura dei capelli afro? Probabilmente no! Io rispetto ogni opinione, ma se non sei a conoscenza dell`intera faccenda non dovresti parlarne. E ora che si e` scusata, il problema non se n`e` andato. Dopo aver sentito i commenti di Underwood non ero arrabbiata perche` so che per me i miei capelli sono bellissimi, ma ero triste perche` molte giovani ragazze che si stirano i capelli che vogliono cambiare e avere capelli afro sono costantemente criticate e non penso che sia giusto. Dobbiamo avere la possibilita` di SCELTA e scegliere cio` che e` meglio per noi, non cio` che la societa` pensa sia meglio per noi. So che alla fine di questo post qualcuno potrebbe dire "sono solo capelli! Non c`e` bisogno di alzare tutto questo polverone! ", ma sappiamo che non e` la verita`. Se questo non fosse un problema, la scelta di avere capelli afro, una ragazza che decide di non portare capelli lunghi o assumere una persona con i locks o i dreadlocks non dovrebbe essere una tragedia.. Ma a quanto pare è un problema. Che cosa ne pensate a riguardo? Lasciate pure un commento. Hi folks! There`s a beautiful weather in this day of September, like yesterday: summer is still a little bit with us! I wanted to wear comfortable and wide clothes, so I chose my really thin white sweater from Atmosphere®, boyfriend jeans from New Look and black vintage ankle boots. For a touch of colour I wore red lips. As hairstyle I used a bantu knot out on the upper part and braided the sides. Good luck to every student who went back to school today. Have a nice day, girls! Ciao gente! C`e` un bellissimo tempo in questa giornata di Settembre, come ieri: l`estate e` ancora un po`con noi! Ho voluto indossare vestiti larghi e comodi, quindi ho scelto la mia maglietta bianca leggerissima di Atmosphere®, boyfriend jeans di New Look e stivali vintage neri. Per un tocco di colore ho indossato un rossetto rosso. Come acconciatura ho utilizzato bantu knots out nella parte superiore e ho usato delle trecce ai lati..
Buona fortuna a ogni studente che oggi e` tornato a scuola. Buona giornata, ragazze! Hi girls! How`s your week going? 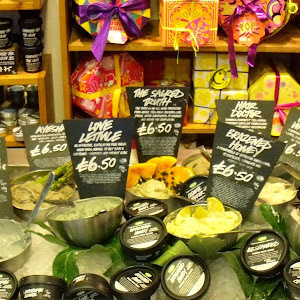 It`s time to talk about a conditioner perfect for my natural curly hair and my wallet. 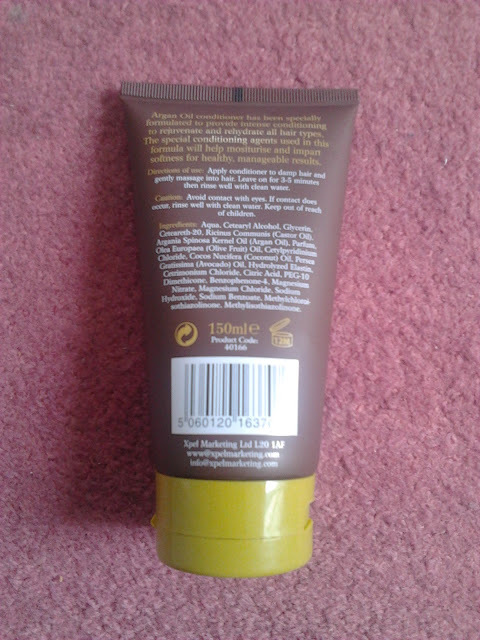 I paid it little less than 2£, 200ml of product and it`s enriched with avocado milk. "It`s designed to soothe & moisturise", so it`s perfect to take care of an itchy or sensitive scalp. the only essential point for us curly girls! When we talk about natural curly hair, a product can be effective for one person but not for another one. For me is the product that I would use before a first date, the product that I can always count on. In conclusion, for me is definitely an 8/9! What are the hair products that are pure miracles for you but terrible for everybody else? Ciao ragazze! Come sta procedendo la vostra settimana? E` arrivato il momento di parlare di un balsamo perfetto per i miei capelli afro e per il mio portafoglio. Si chiama SUNSILK BALSAMO EMOLLIENTE. L`ho pagato un po` meno di 2£, 200ml di prodotto ed e`arricchito con latte di avocado. "Progettato per dare sollievo & idratare", quindi e` perfetto per prendere cura di un cuoio capelluto che provoca prurito o sensibile. Generalmente lo applico dopo lo shampoo. E` perfetto per districare i capelli (utilizzando solo le dita o un pettine a denti larghi) e, cosa piu` importante, lascia dei riccioli veramente definiti: il punto essenziale per noi con i capelli afro! Quando parliamo di capelli ricci afro, un prodotto puo` essere efficace per una persona ma non per un`altra. Nel mio caso e` il prodotto che utilizzerei per un primo appuntamento, il prodotto su cui posso sempre contare. In conclusione, per me e` decisamente un 8/9! Quali sono i prodotti per capelli che sono miracolosi per voi ma terribili per altri? Hi beauties! Did you already go back to work? As I was saying in my latest post, I`ll start review the hair products that I like the most! 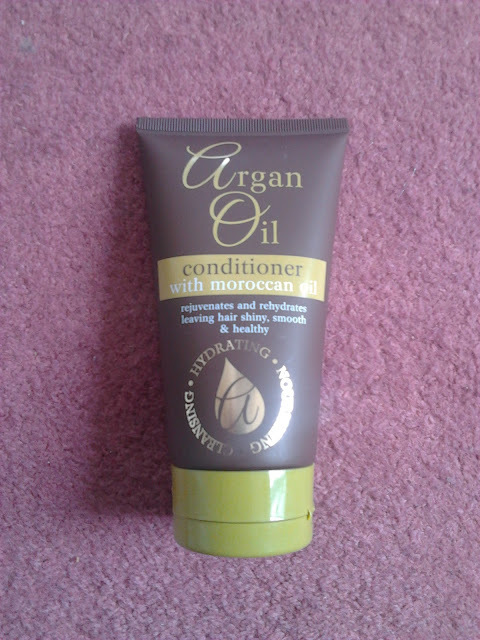 Today I review the ARGAN OIL conditioner with moroccan oil. It`s cheap although is just 150 ml, so is a very small quantity of product. The first time that I used this product, I used it as a conditioner but is not so useful when I started the detangling part. I was pretty upset! I didn`t want to waste a brand new hair product. So I started to think: how can I reuse it? I did some researches and...BINGO! I found a solution and a little tip that I wanna share with you! Instead of using it AFTER shampooing, try to use it BEFORE shampooing and you`re going to see a pleasant difference in your hair. To sum up, I`ll give a 6- as a conditioner and a 7 as a pre-shampoo conditioner! What do you think about? 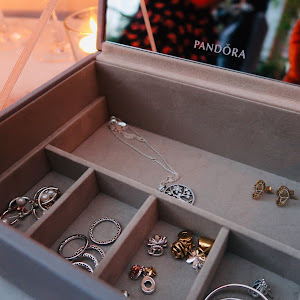 Did you had to find a solution to reuse a poor quality product? Have a nice Monday, folks! Ciao bellezze! Siete gia` tornate a lavoro?? Come ho anticipato nel mio ultimo post, iniziero` a recensire i prodotti per capelli che mi piacciono di piu`! Oggi recensisco ARGAN OIL balsamo con olio marocchino. E` economico anche se sono solo 150 ml, quindi veramente una piccola quantita` di prodotto. La prima volta che ho utilizzato questo prodotto, l`ho usato come balsamo ma non e` stato molto d`aiuto quando ho iniziato a pettinarmi i capelli. Ero abbastanza seccata! Non volevo buttare un prodotto per capelli nuovo di zecca. Quindi ho iniziato a pensare: come posso riutilizzarlo? Ho fatto un paio di ricerche e...BINGO! Ho trovato una soluzione e una piccola dritta che voglio condividere con voi! Invece di utilizzarlo DOPO lo shampoo, provate ad utilizzare PRIMA dello shampoo e noterete una piacevole differenza nei vostri capelli. Per ricapitolare, gli do` un 6- come balsamo e un 7 come un balsamo pre shampoo! Voi che cosa ne pensate? Avete trovato una soluzione per riutilizzare prodotti per capelli di scarsa qualita`? As you can see, finally my afro hair are growing! I had to stay out all day today, so I wanted to use a twist out on the upper part of my head and braid the sides. It`s a super easy hairstyle and you can go wherever you want without worrying about your hair. How cool is that? In the next posts, I`m gonna review some products for natural hair that I always use and that are vital for me. Have a nice Sunday, guys! Come potete vedere, finalmente i miei capelli afro stanno crescendo! Sono dovuta stare fuori tutto il giorno oggi, quindi ho voluto utilizzare un twist out nella parte superiore della mia testa e fare delle trecce ai lati. E` una semplicissima acconciatura e potete andare dovunque senza preoccuparvi dei vostri capelli. Non e` grandioso? Nei prossimi post recensiro` alcuni prodotti per i capelli naturali che uso sempre e che sono vitali per me.